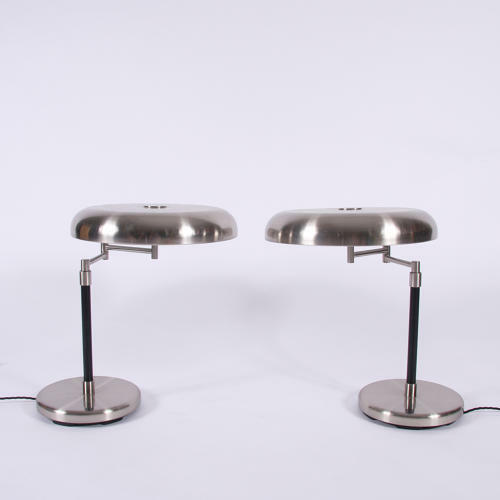 A fabulous pair of swing arm desk lamps with brished steel 'mushroom' shades and bases and with leather covered column. The arms can swing out to extend fully. Re-wired.